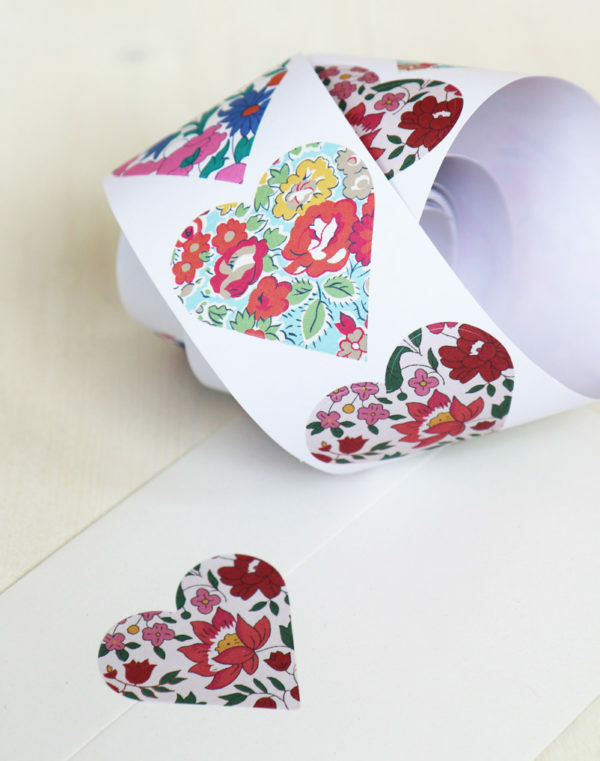 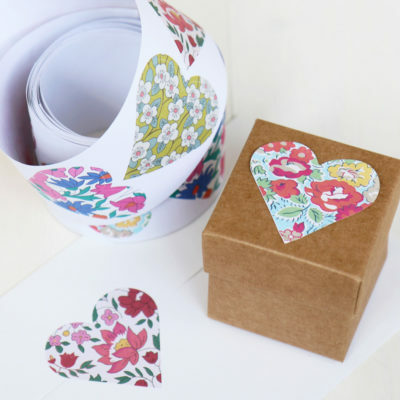 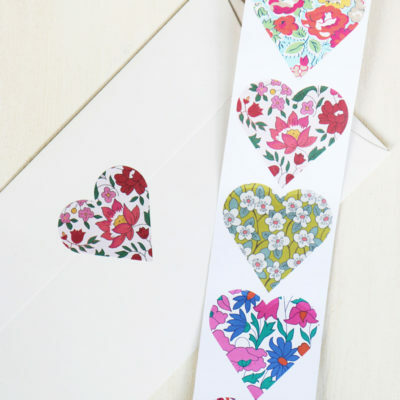 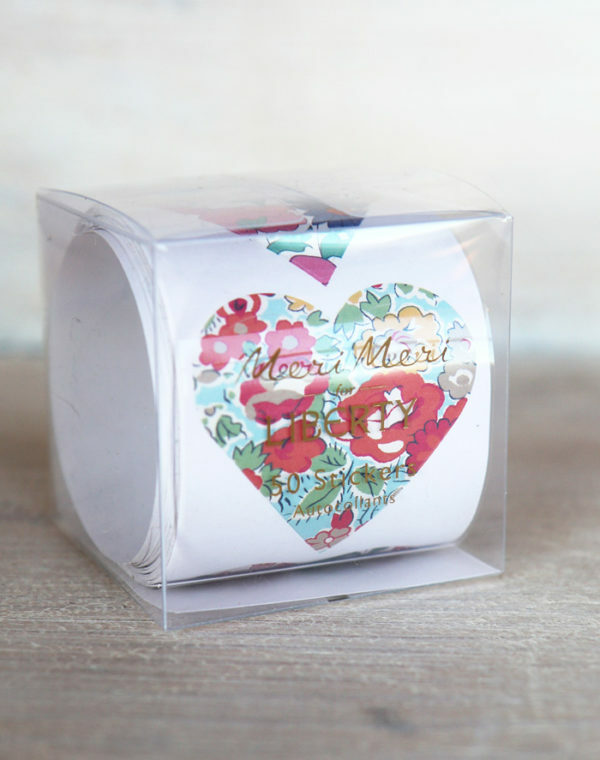 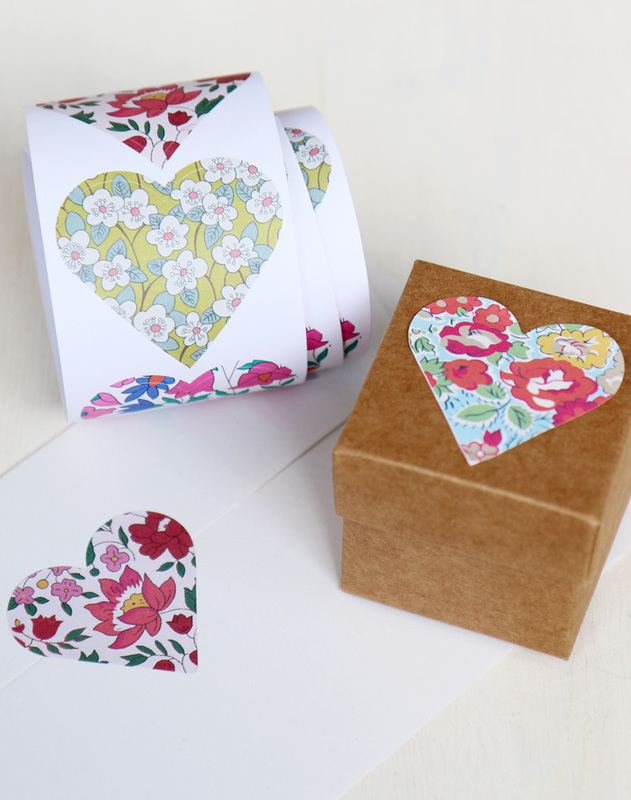 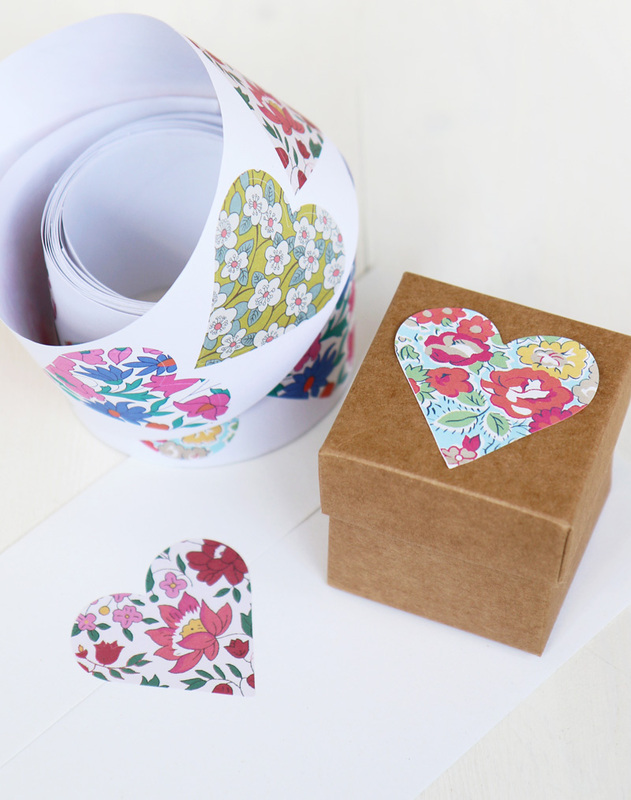 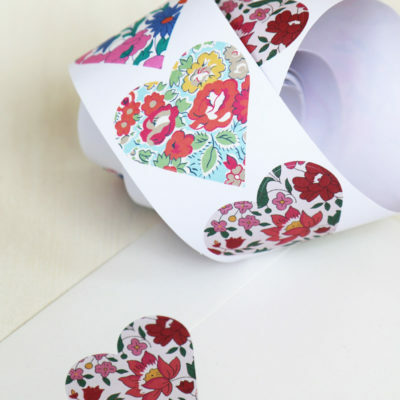 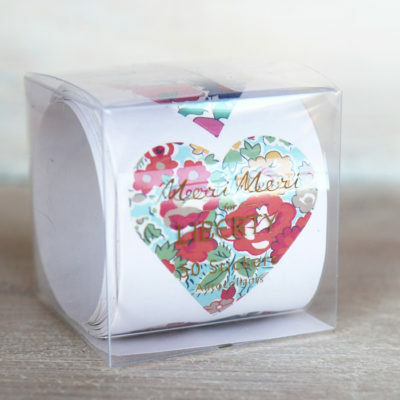 Liberty print heart stickers. 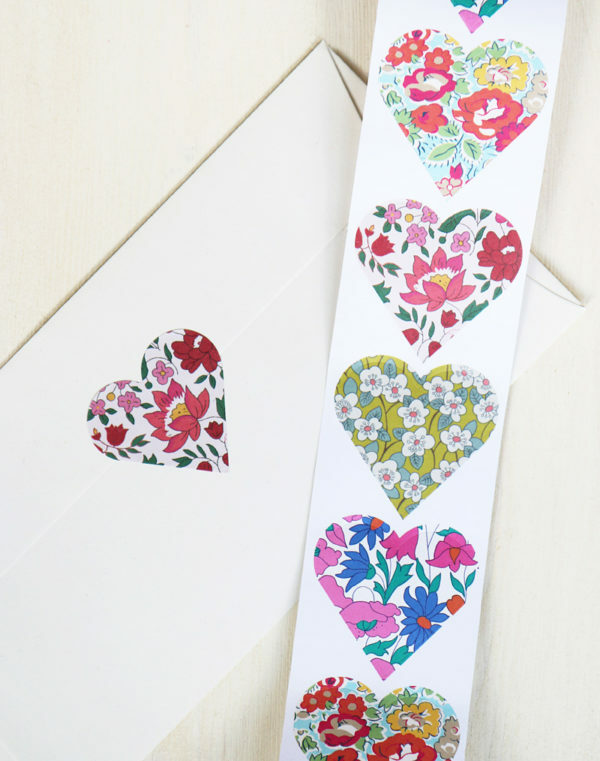 A roll of 50 Liberty of London floral stickers in 4 different designs. 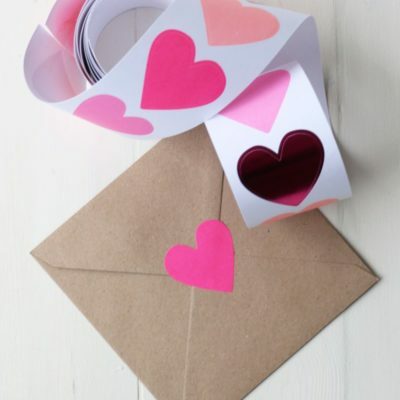 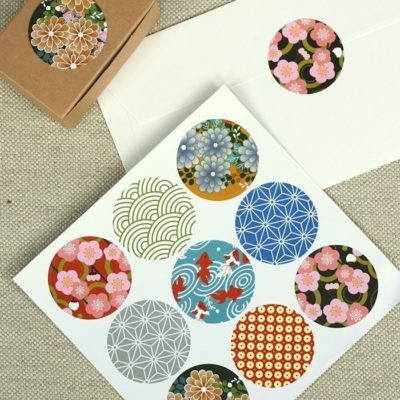 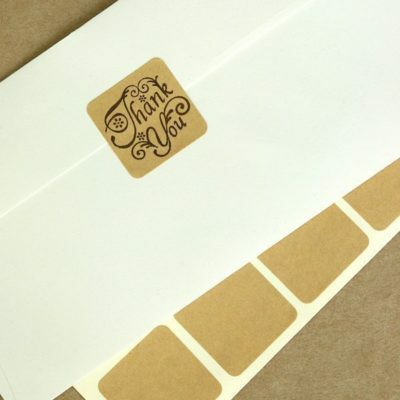 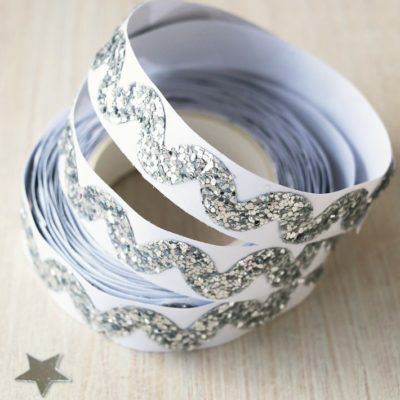 Ideal for gift wrapping, sealing envelopes, party & favour bags, craft, scrapbooking and card making. 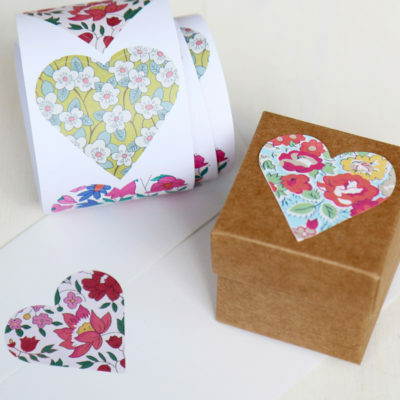 Each heart measures approx 5cm high and 5cm across at the widest point.